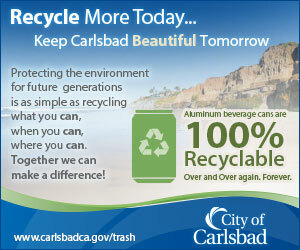 CARLSBAD — It’s official, one of the city’s most recognizable groups is supporting Measure A. 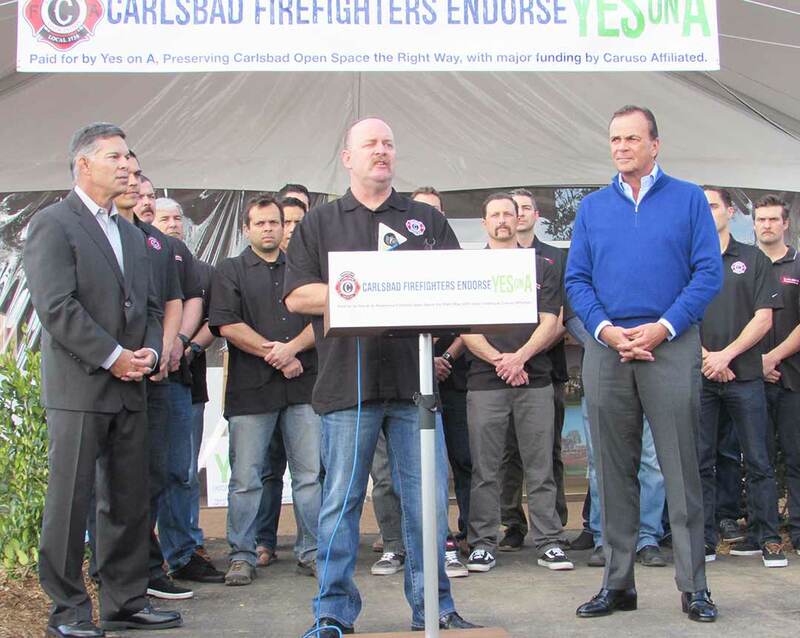 The Carlsbad Firefighters Association (Local 3730) union threw its weight behind Caruso Affiliated’s proposal Thursday to develop a luxury mall and open space on the south shore of Agua Hedionda Lagoon and off Cannon Road. The Coast News reported in December the union was endorsing the measure, while Thursday’s press conference served as the formal announcement at the information center off Cannon Road. Measure A proposes commercial development on about 26 acres, while designating 176 acres for open space use. The special election is Feb. 23. Union President Chris Lawrence said once he and the firefighters read the “facts,” it was an easy choice. He said he met Rick Caruso, who owns Caruso Affiliated and is the major funding source, several times and then discussed the matter during union meetings. The discussions with Caruso, Lawrence said, covered all aspects of the plan including one of the biggest for first responders — traffic. It has been one of the most fiercely disputed aspects of the plan by opponents, who say the thousands of additional motorists on Interstate 5, Cannon Road and Paseo Del Norte will clog the area. Lawrence, however, countered those claims citing traffic analysis, which was part of a compilation of several independent firms analyzing dozens of factors of the proposal including traffic. He said the final data shows improved traffic times including light changes and traffic will be improved at most of the 30-plus intersections reviewed. Lawrence said the association will take on any responsibility asked of it, but said their work will center on placing signs and pounding the pavement. Rick Caruso, meanwhile, said he is “grateful” for the support of the firefighters. In addition, he also addressed the $9.4 million his company will pay for traffic improvements, which doesn’t include funds to Caltrans for the widening of I-5. The CFA joins a growing list of endorsements for the project. Earlier this week, 15 Carlsbad Village business owners announced their approval for Measure A in addition to a dozen current and former North County elected officials voicing support.